On March 26, Tbilisi Boris Paitchadze National Stadium hosted a EURO 2012 qualifications game between Georgia (72nd in the FIFA/Coca-Cola World Ranking) and Croatia (8th in the FIFA/Coca-Cola World Ranking). The stadium was full, and hundreds were left outside. First half lacked action, however second was very dramatic. Both teams had interesting moments but only one managed to win. 30-seconds long combination was finished by one of the most experienced players in Georgian team – Levan Kobiashvili. He scored an unexpected goal on 90th minute. Georgian national team will face Israel on 29th of March in Tel Aviv. Late goal by Levan Kobiashvili earned Georgia win over Croatia. Kobi finished a 30-seconds long combination with an amazing goal on 90th minute. 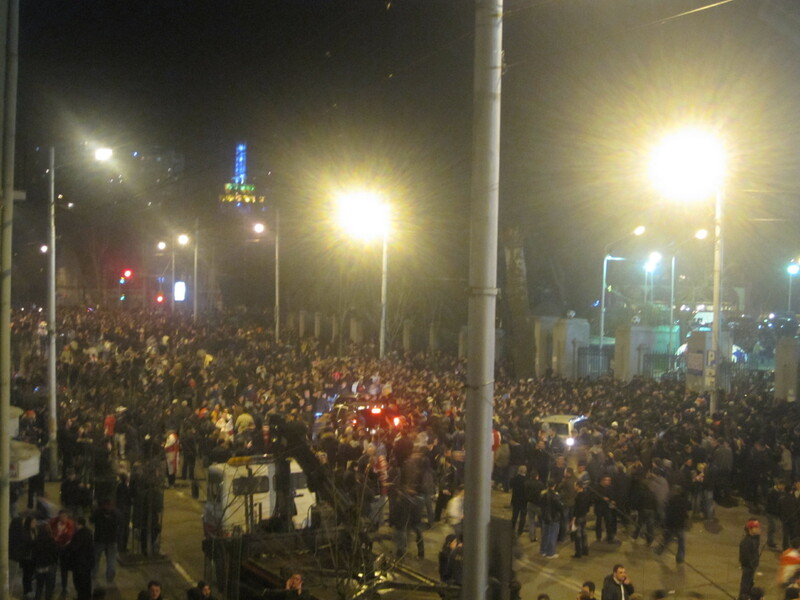 It was a breathtaking moment for all Georgians on the national stadium, in Tbilisi and abroad. Here are some photos and a video of the surprising goal by Levan Kobiashvili. 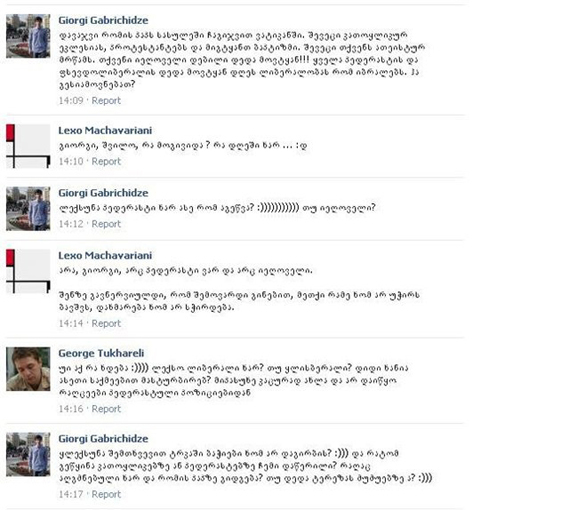 On 18 March 2011, the Georgian Public Broadcaster dismissed two of its journalists, Giorgi Tukhareli and Giorgi Gabrichidze, because of offensive comments they made on Facebook against homosexuals as well as the Vatican and the Catholic Church. The journalists wrote the remarks on the wall of a page, I don’t love my Patriarch, but even if the comments later disappeared, someone managed to take a screenshot to post on the Internet. According to reports, Gabrichidze and Tukhareli resigned themselves, and Vakho Sanaia, the anchor of a program they worked on, personally met them. He said that it would be impossible for him to work with them again in the future. “Their comments are incompatible with our values and work style,” Vakho Sanaia told Media.ge. “The journalists quit themselves, and that’s what I wished.” Sanaia also said that he would not have worked with them from the beginning had he known that they were homophobes. “I’m shocked. I could not believe until I saw it with my own eyes. Both Gabrichidze and Tukhareli were some of the best journalists and they have proven that many times by risking their lives to cover recent events in Egypt. Despite all this, program has its image, which has been jeopardized. We condemn this kind of action from journalists even if they write it on their Facebook wall,” Rusudan Vashakidze, the Producer of the program, told Onlinenews.ge. According to Netgazeti.ge, Vashakidze talked to Gabrichidze over the phone and later denied claims that his profile had been hacked, while those responsible for the program they worked on said that Facebookis a public space and journalists had to understand that everything they wrote would negatively affect them. Gabrichidze and Tukhareli violated the Georgian Public Broadcaster’s code of ethics and therefore had to quit. 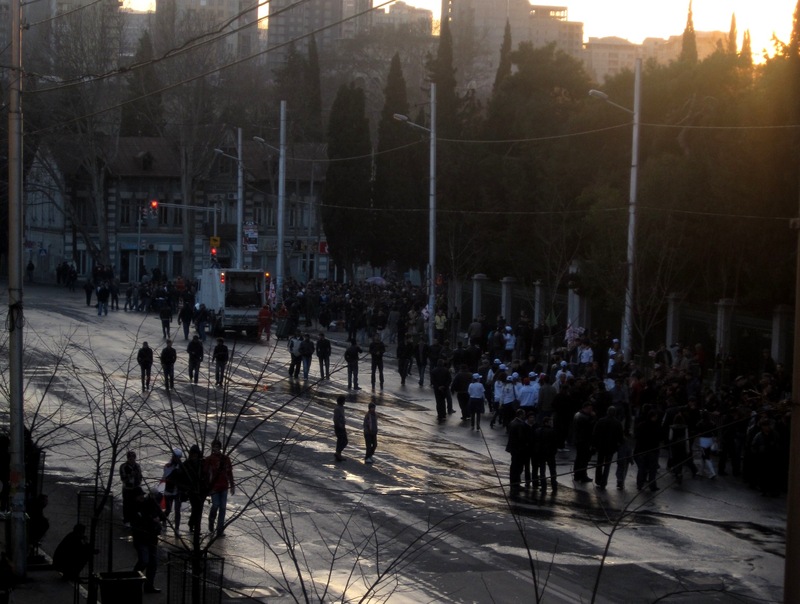 Meanwhile, with 516,300 Facebook users in the country, the largest penetration for the social networking site in the region, many agree with Vashakidze, saying that Facebook is indeed a public space and what Gabrichidze and Tukhareli did was wrong. Vakho Sanaia’s Reportage is a weekly overview of events and subjects in and outside of Georgia. Gabrichidze joined the program a year ago, and Tukhareli was hired in September.